The Beginning of the Solution: Though we live close to a large city, I needed a few things from our small town Walmart. While there I checked to see what types of shelving units they carried. 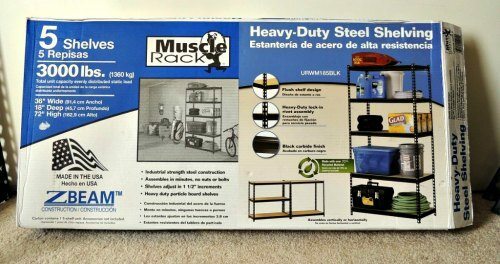 I was happy to find not only did they carry heavy duty units, but they were made in the USA! At $59.00 dollars each I grabbed three units and headed home.